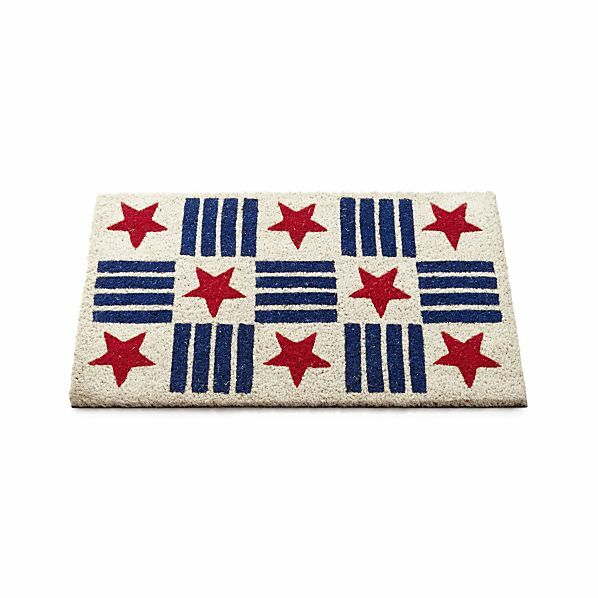 My 2015 July 4th All American RED WHITE & BLUE Picks from Crate & Barrel for decorating, dining, eating, crafting and of course Fireworking! 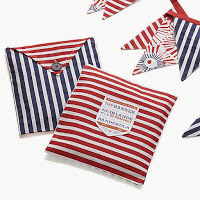 Give three cheers for the red, white and blue with patriotic decor and useful everyday items from Crate and Barrel. 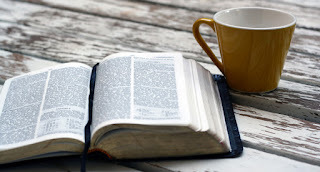 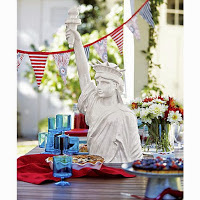 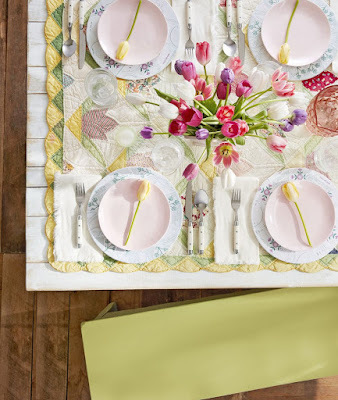 They offer a full range of dinnerware products perfect for a stylish Fourth of July or Memorial Day.Labor Day party, including seasonal plates, serving platters, serving dishes, plastic glasses, flatware and more. 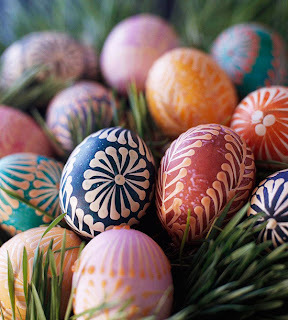 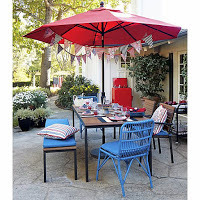 In addition to dining , we also offer festive red, white and blue decor. 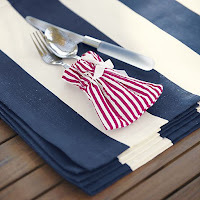 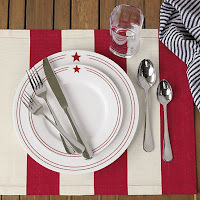 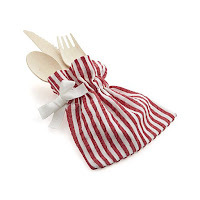 To create a beautiful Americana-inspired tablescape, try their red and blue striped tablecloths with matching placemats and napkins......add in fun patriotic decor, such as an bunted American flag banner, striped pillow and cocktail picks, to complete the look. 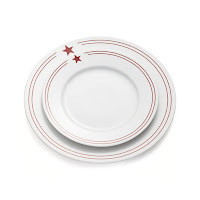 Red Star Plates - With a touch of delightful diner styling, this broad-rimmed porcelain plate with a double-banded red rim and star icon sets an all-American table for everyday dining and patriotic occasions. Seersucker Red Flatware-Goodie Pouch - A fresh new presentation idea in classic red-and-white seersucker nestles flatware, goodies, gift cards and more. Ribbon drawstring keeps contents inside. 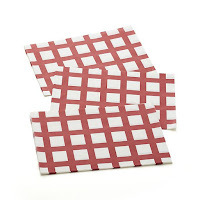 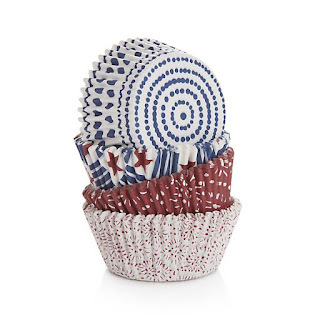 Set of 100 Americana Cupcake Papers - Hooray for the red, white and blue. 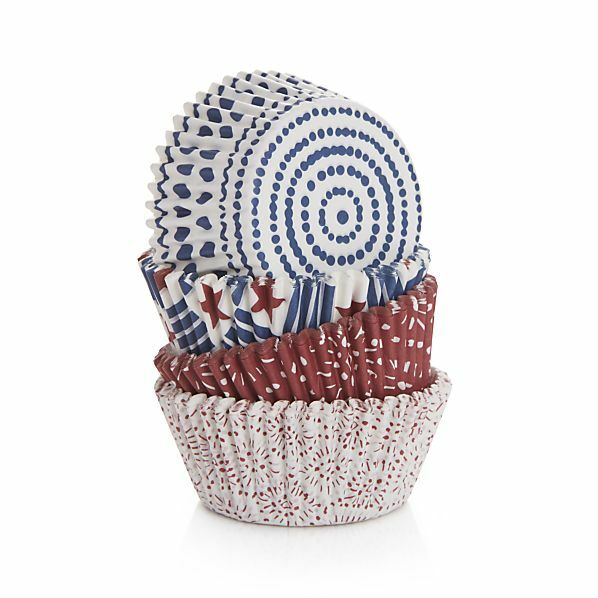 Patriotic papers in four fun designs are ideal for baking cupcakes and muffins and handing out party favors and snacks. 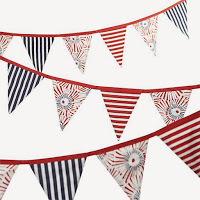 Patriotic Flag Banner ~ Festive banner flies the colors in red, white and blue stripes and fireworks patterned on 100% cotton flags strung on a band of red. 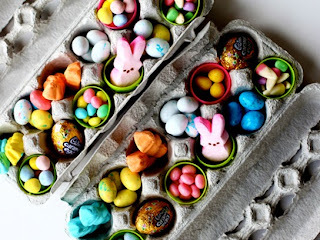 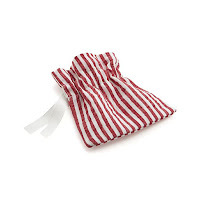 Reusable decoration comes in its own convenient pouch. 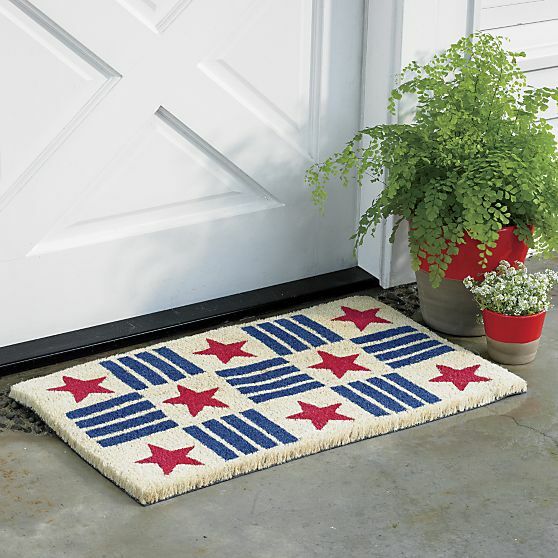 4th of July Doormat - Blue stripes and red stars from an all-American, graphic grid on our durable coir doormat. Natural fibers are woven and bonded to a rubber mat, resulting in a highly absorbent mat that traps dirt and moisture from footwear. 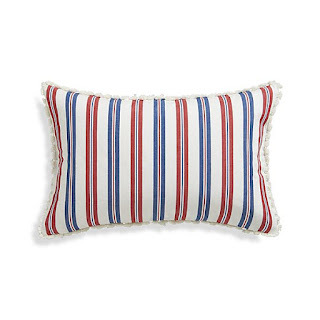 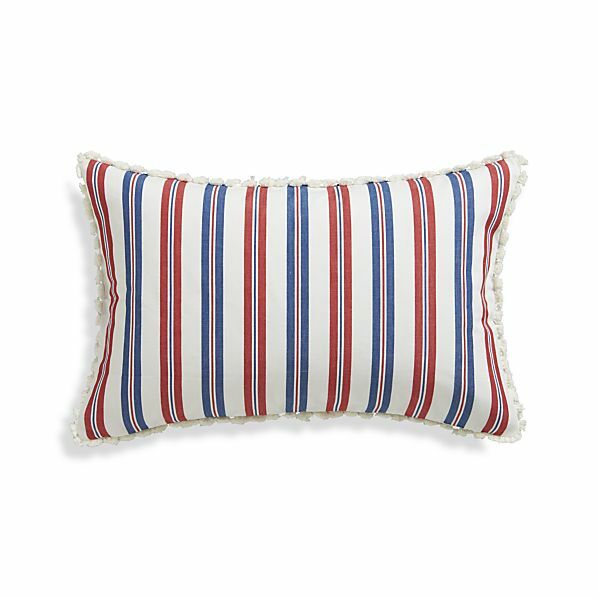 Liberty 20"x13" Pillow - Red, white and blue stripe patriot in this great summertime pillow, edged in white fringe for a little bit of vintage. 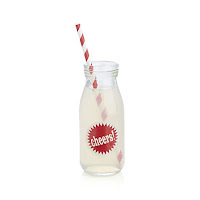 Summer Drink Bottle Glass - Toast the lazy, crazy days of summer with a cold drink in a cool glass bottle, designed with the homespun appeal of an old-time milk bottle. 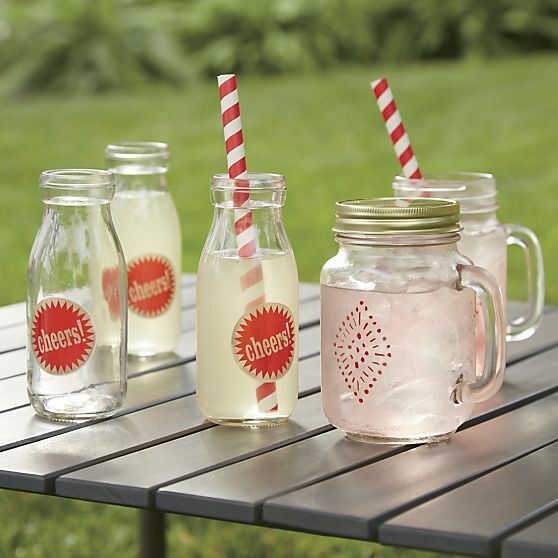 Just pop in a straw to sip lemonade, iced tea, or warm weather cocktails. 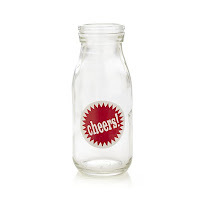 Red starburst graphic offers "cheers" to set the mood for fun-loving casual entertaining. 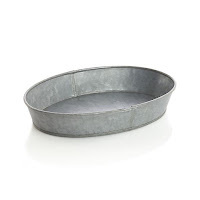 Hot Dog Basket and Set of 24 Basket Liners - Galvanized iron serves up everyone's favorite meal in a no-nonsense basket with utilitarian chic. Basket has an antique finish with a protective and food-safe clear powdercoat finish. 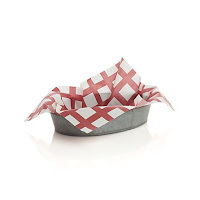 Add a paper liner for soda-fountain pizzazz. 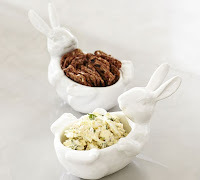 And Fun pub-style serving puts a polished spin on casual dining. Red striped disposable liners fit our hot dog basket. 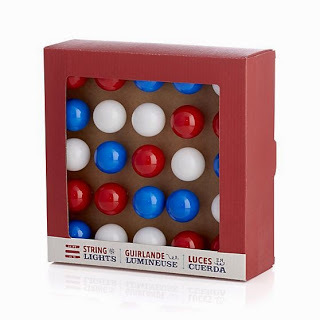 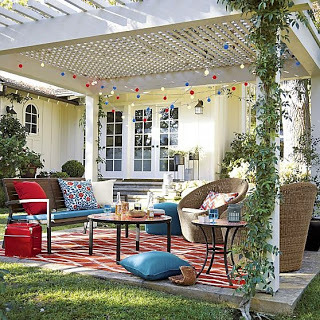 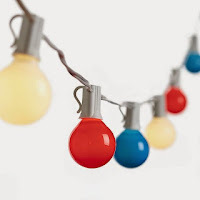 Patriotic String Lights ~ Indoor-outdoor lights take a shine to the red, white and blue multicolored mini globes that light up the festive porch or patio.